Great Rao, I can’t believe I’m saying this! Lex Luthor is a more likable Superman than Superman himself of late. I’ve spoken disparagingly before regarding the New 52 version of Superman, but when the reboot was announced back in 2011, I was genuinely excited for how DC would rectify its earlier mistakes with the character. Evidently, the entire impetus for the line wide retcon was editorial’s desire to absolve the marriage of Lois and Clark without imputing on the character of either through a break-up or divorce (which even if amicable would have suggested a failing on one or both in the eyes of many readers). Nor did DC desire to kill off such an iconic character as Lois. And these decision-makers were right in identifying Clark’s domestication as a source of tedium in the Superman stories of the late ‘90s and early 2000s. Many television series noticeably drag once the will-they-won’t-they dynamic of the protagonist and primary love interest is finally resolved, and the Superman franchise suffered similarly for the better part of two decades. For a variety of reasons, courtship is a subject with greater dramatic potential than a steady relationship, and the unique romantic triangle of Lois, Superman, and his secret identity of Clark Kent was a particularly potent formula, one which sustained the franchise since its inception in Action Comics #1 (1938) all the way to Action Comics #662 (1991). The appeal of their dynamic is obvious: every man sees himself secretly as a superman, all the while knowing that the object of his pursuits surely sees a less flattering false façade. In that sense, Lois and Clark revealed to the world the essential truth that every relationship between a suitor and his potential paramour is in actuality a love triangle between two individuals. Moreover, a bachelor is a more relatable character for married men than a husband is for guys who are still single. And while Superman is not intended to be a fully relatable character, Clark Kent certainly is. As a confirmed bachelor nearly thirty years of age, I’ve over the years lost many friends to the shackles of matrimony; close comrades, brothers bound by the ball-and-chain, who’d drifted away because we could no longer relate to one another. Back in the mid-90s, my friend Clark was the first to fall, but with the impending New 52 I’d thought I was finally getting my buddy back. Hell, maybe Smallville and I could finally hit up the Gentelmen’s Club together even. Alas, this wasn’t the same Superman sans a wedding ring. He was a kid, my age, maybe a bit younger even – Superboy would be more fitting, were that moniker not already taken. And it was not merely his age, but his actions and attitude as well. Whereas Superman had previously been closer to a cool college professor, an older gentlemen who was more pal than parental, one whom without reservation you’d admire and aspire to become like, the New 52 Superman was more college freshmen – politically radical, slightly self-righteous, and shockingly rash. While his anti-establishment activism gave way to more traditional superheroics as the character aged over the five year time jump (following the trajectory true to that of many twentysomethings), his impulsiveness never improved. If the post-Crisis Superman seemed too mature, and a bit of a bore as consequence, the New 52 swung the pendulum too far in the opposite direction with a Superman too immature, one whom readers hardly would hope to emulate. Neither ever found the sweet spot, the happy medium, of the Schwartz, Weisinger, or early Byrne eras. Paradoxically, the Rebirth initiative intended to rectify the recent mistakes (which themselves were intended to rectify then recent mistakes) has only served to compound the worst of the post-Crisis and New 52 eras. Superman is once again wed, this time with a child to boot. (Forget the married ones; my friends-turned-fathers are truly lost forevermore!) Yet at the same time, he’s every bit as brash as his recently deceased doppelgänger. He purposely picks a fight with Earth Prime’s Lex Luthor, whom despite some similarities with respect to name, appearance, and intellect, is not the vile villain of Superman’s former world. Rather, as Lex points out himself, he’s a member of the Justice League in good standing, one who has saved the world on several occasions and has even proved his sincerity under the scrutiny of Wonder Woman’s Lasso of Truth. His record isn’t spotless, but so far as Superman knows this Lex is not the convicted criminal mastermind with whom he constantly contended. Nor is his prejudice against Luthor rational; the existence of Ultraman, a morally inverted mirror of himself, ought to prove to Superman the possibility that this Luthor is not merely concealing his criminal activity, but genuinely innocent. (Such is not actually the case; Luthor at the beginning of Forever Evil proved himself quite capable of breathing murderous threats.) But Superman, without any hard evidence as to this Luthor’s wrongdoings other than the misdeeds of an entirely different Luthor from an entirely different universe, publicly slanders the man. And even if he did not intend to harm Luthor, in trying to strip him of the “S”-insignia emblemed on his chest, Superman did attack him. I’ve certainly taken it as a trespass on my person when a drunkard strips me of my cowboy hat, with such incidents nearly resulting in bar brawls. The fact that I’d demonstrated greater self-restraint than Superman is a moral failing on his part completely contrary to the core of his character. Worse, the situation is not exactly analogous, as Superman both violated Luthor’s property and personal space and then threw the first punch as well. Lex, on the other hand, takes nothing at face value. Just because the flying man hurling accusation as him looks like Superman is no sure proof of such. He’d cloned a superman of his own in the form of Bizzaro, encountered the aforementioned Ultraman, and is aware of the shapeshifting Martian Manhunter. Given the various possible alternate identities, Lex is right to regard the individual purporting to be Superman as probably an imposter, a more likely explanation that a resurrection from the dead. And he’s right. 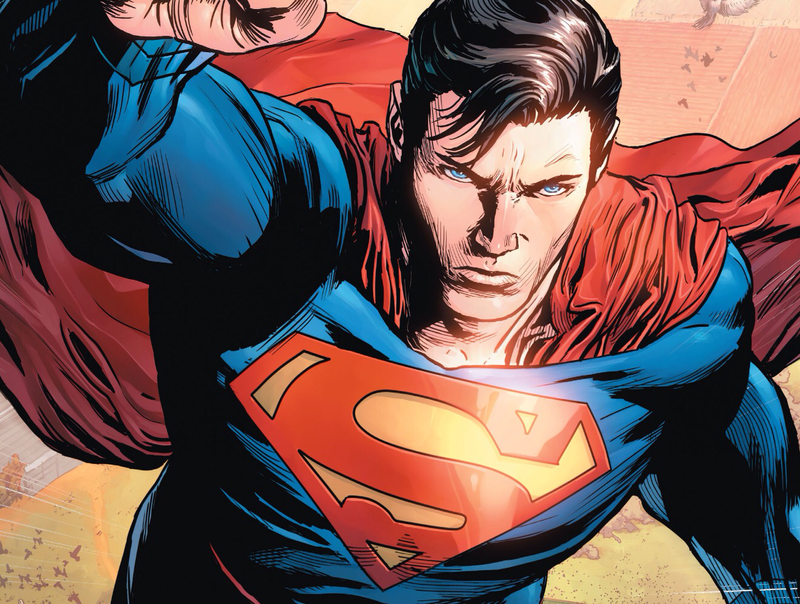 Though both came from planets called Krypton, both were named Clark Kent, and both took upon themselves the name Superman, no theory of personal identity would suggest that the post-Crisis and New 52 Supermans are the same individual. 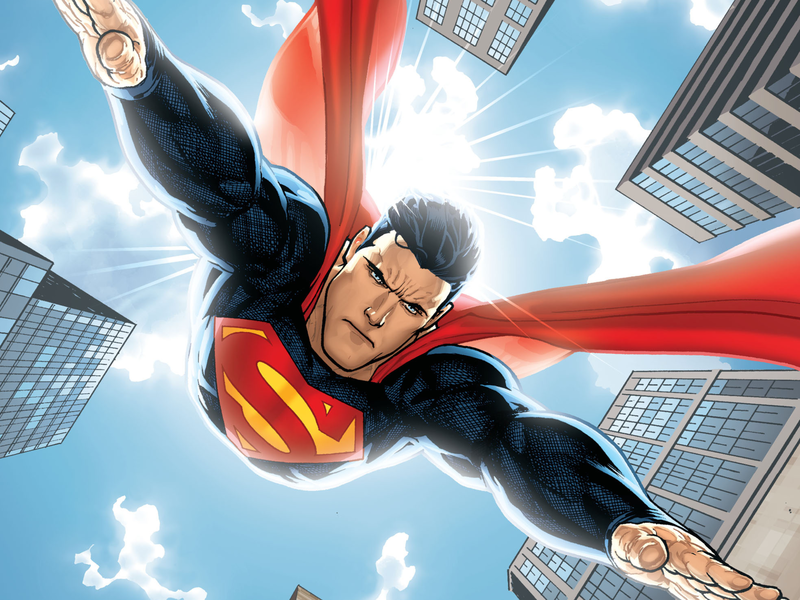 Lex is the more even tempered and pacifistic of the two heroes flying throughout the skies of Metropolis currently. He’s the more clear-headed and rationally minded. He’s even a more relatable character to more readers as a bachelor free of familial duties. He’s, quite simply, the more deserving of the “S”-crest, both in the eyes of the denizens of that world and readers in our own. But beyond all this, Luthor embodies a meritorious virtue that Kal-El of Krypton never quite can. Superman, being naturally gifted with powers and abilities beyond those of mortal men, is especially suited to display virtues such as self-restraint and humility. Such is why the character has always lended himself so well to Christological motifs. But instead of forcing a humanist reading on Superman, as many modern writers are wont to, perhaps the better means of conveying a humanist ethos is through making the Superman a human character. Enter Lex Luthor. His primary “superpowers” are his intellect and fortune. The former is no more fantastical than Bruce Wayne being a peak human in every respect, and the latter is entirely the result of hard work, of applying his natural gifts and not squandering them. Whereas Clark constantly holds back, Luther applies 100% of his efforts daily. 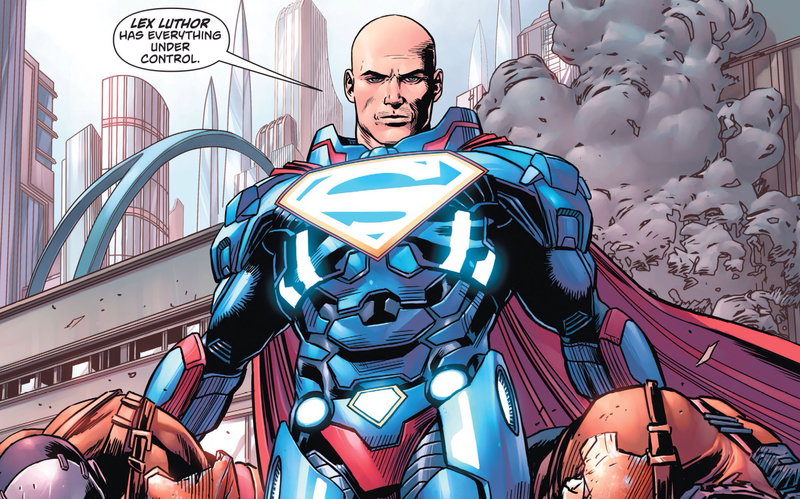 Even in his rivalry with Superman, Luthor was the underdog, the man standing toe-to-toe against a god. Such is a narrative that inspires ambition and achievement; different virtues than truth and justice, to be sure, both worth instilling in oneself nonetheless.